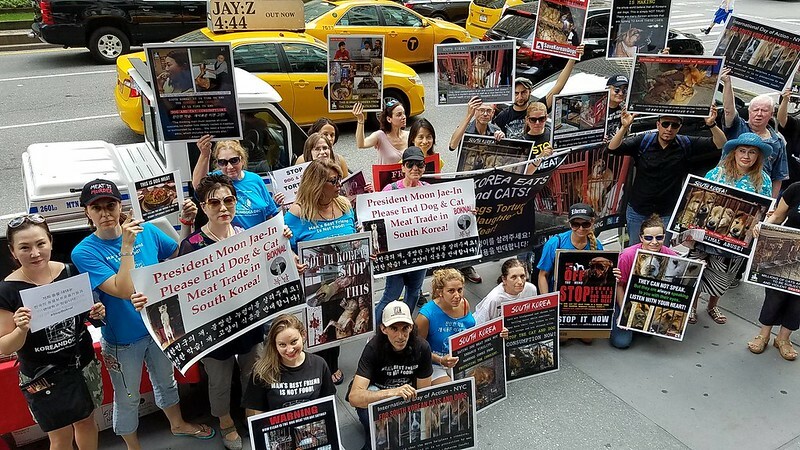 The Animals’ Battalion will be holding a series of demonstrations in New York City, for the third year in a row. 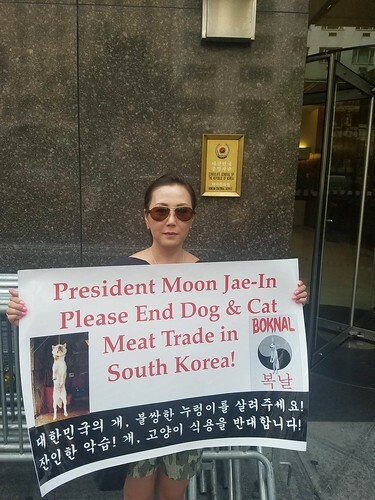 They will be demonstrating outside the South Korean Consulate, to make that government aware of how strongly we abhor their indifference to the mass cruelty and suffering inflicted on sentient animals, within the dog and cat meat trades; and also of the failure of their government to bring about an end to this evil trade which makes profits from the suffering of animals. Today was Day 1. What an awesome turnout! 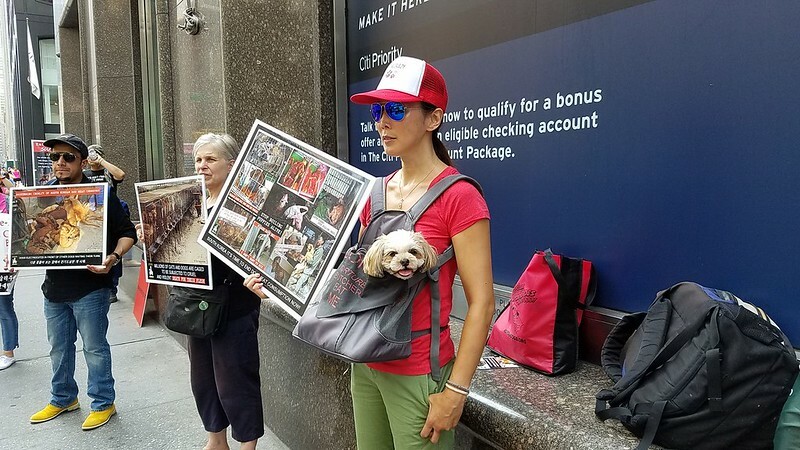 Thank you to The Animals’ Battalion for organizing this demonstration, especially Noelia and Roberto and all the animal advocates who came to help. 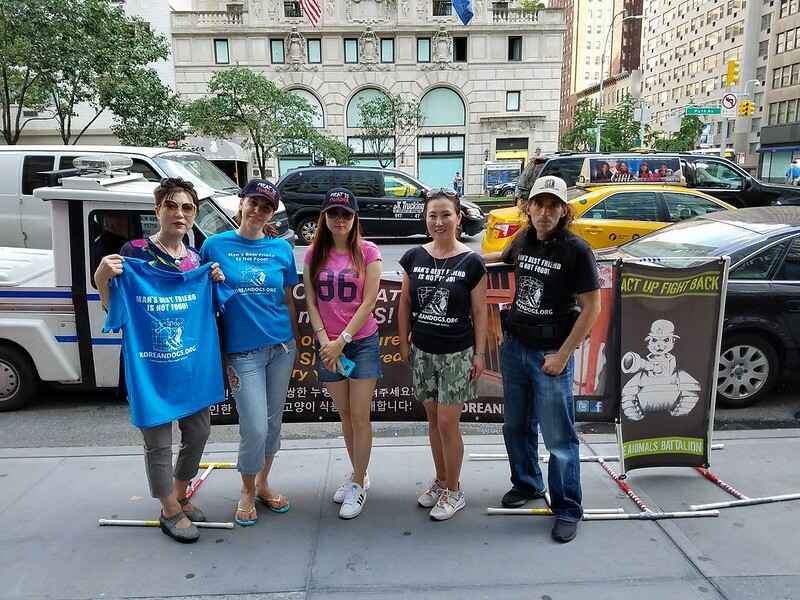 We hope to see everyone again at the Day 2 demonstration on July 21. If you are in the New York area, please join us. If you are not in New York, don’t worry. You can still participate and show your support by joining our Phone Blitz. Click HERE for learn more. 오늘 뉴욕 총 영사관에서 애쓰신 여러분 대단히 감사합니다. 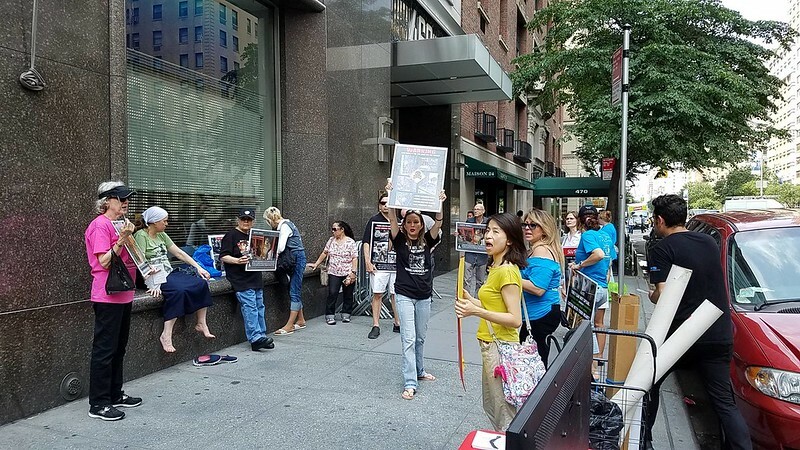 Thank you to all who shouted #NoMoreDogMeat #개고기반대 at the Korean Consulate in NYC on the first day of #Boknal. 뉴욕 대한민국 총영사관 에서 #복날 #개고기반대 시위를 마련한 #TheAnimalsBattalions 대표님들 입니다. 한국 동물보호 운동하시는 분들에게 감사와 응원을 보냅니다. Noelia Pasi & Roberto Bonelli send message of thanks and support to South Korean activists. SHUT THESE HELL FARMS DOWN FOREVER! THESE ARE OUR PETS, NOT FOOD FOR ANYONE, DOG’S & CAT’S ARE PETS! YOU HAVE STOLEN ANIMALS, FOR THESE FARMS. NOT RIGHT. THESE PETS COULD BE WITH FAMILIES THAT LOVE, CARE, & HAVE SAFE HOMES FOREVER! THEY ARE GOOD FOR EVERYONE FOR PETS. NOT FOOD EVER! MILITARY NEEDS TO HELP SHUT THESE FARMS DOWN NOW! PLEASE GOD HELP THESE INNOCENT SOULS! GONE ON WAY TOO LONG! THERE HAS GOT TO BE AN END TO THIS HORROR! 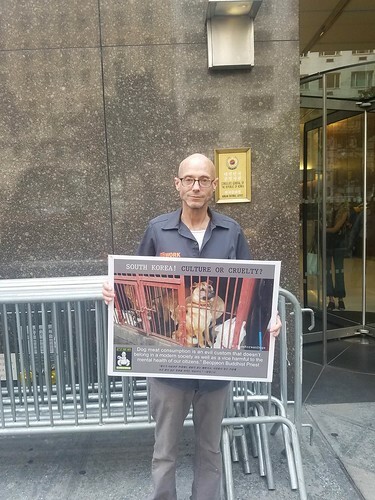 NO MORE ANIMAL CRUELTY! PLEASE PEOPLE WHO ARE SINCERE, LOVING, CARING TRY TO HELP THESE PETS NOW! THEY ARE WORTH SO MUCH TO US! WE ARE THEIR PARENTS! THEY ARE OUR CHILDREN! This excessive barbarity should be a thing of the past in 21st Century. I will never understand HOW ‘humans’ can DO such cruelty on innocent creatures, that truly is beyond me. Cats and dogs are THE friends of man…. so, I think some definitely have to come to senses and take a look at the condition of their hearts. When selling their hearts TO GREED (by use of utter barbarity), ARE they still worth the title “human”, “humane” .. (?) What left..? Humans can do better, I think. STOP THE SHAMEFUL BARBARITY, please.